Anne Hicks has agreed to begin recommending apps for use in storytime here on Little eLit! She runs a blog entitled AnnesLibraryLife: or How One Children’s Librarian Plans to Conquer the World Through Storytime where she documents all sorts of storytelling techniques, including her iPad. Welcome, Anne! 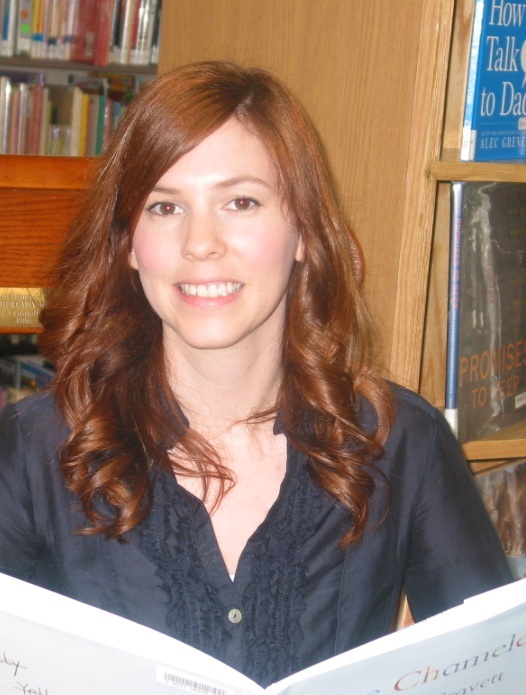 Anne Hicks has been a Youth Services librarian in the Rochester, NY area since 2009. She currently works as the Children’s Librarian at the Henrietta Public Library. Anne is very involved in the Kids’ Comics Committee (based in Monroe County, NY) and helps plan their bi-annual Comic Books and Literacy Conference. She strives to promote literacy using technology. Anne especially loves finding new and engaging ways to use her iPad during storytimes. Posted on January 23, 2013, in Literacy. Bookmark the permalink. Leave a comment.